By now you’ll be hungry, so we’ll take a short walk to the entrance of the Grand Bazaar, the bustling hub of commercial activity. 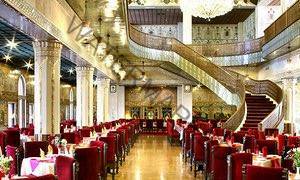 You can find almost anything here, but we are stopping for the famous lunch at “>Moslem restaurant. We’ll queue to get into this congested delight, but it’s worth it: it serves the best tah-chin in town. Portions of saffron and yogurt rice, served with chicken and barberries, easily feed two Iranians – and we know how to eat! 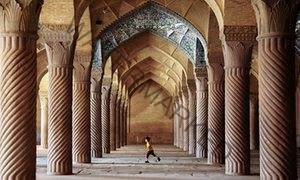 An hour’s drive north-east of Shiraz is our portal to the ancient past. 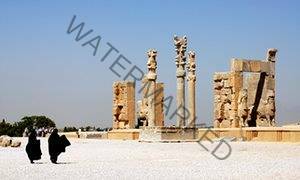 Persepolis, the ceremonial palace built by the Achaemenid king Darius in 518BC, was a significant site in the Persian empire. Our ancient history is sometimes lost in the noise of contemporary politics, but images and words from this era abound in our daily life, serving as the glue that binds the nation. 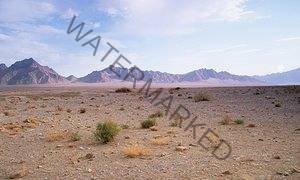 The Achaemenids were expansionists and ruled more than 40% of the then known world, but the fact that the palace was built by hired hands and not slaves marks the Achaemenids as progressive for their time. As we will see, the surprisingly well-preserved bas-reliefs show guests from the many nations of the empire arriving at the palace bearing gifts. Among imposing statues of mythical animals are the well-known winged bulls, guardians of the palace. Sadly they didn’t deter Alexander the Macedonian (who does not go by the title of “Great” in this country) from burning the place down. Next morning, on our way to Isfahan, we’ll stop at Pasargad, the Tomb of Cyrus the Great, the founder of the Persian empire and the first king of Iranians. His sarcophagus stands without pomp on a windswept plain. In 1971, Mohammad Reza Shah held a huge ceremony to mark 2,500 years of monarchy in Iran. His famous words – “Cyrus sleep easy for we are awake” – became the words of the last Iranian king to its first. The revolution followed eight years later. 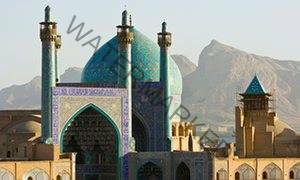 Isfahan should always be the last city on any travel itinerary in Iran. OK, I’m biased (it is my home town) but this truly is the jewel in the crown. 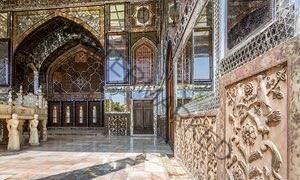 Most of what we’ll see was built by Shah Abbas in the 17th century, when his capital was established here. The magnificent Naghshe Jahan Square, with its turquoise domes, and palace of Alighapou, positioned around an old polo field, are wondrous and you’ll want to see them again and again. 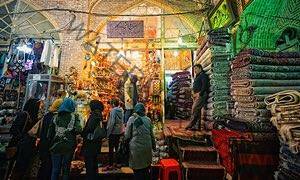 This is a living and working neighbourhood: Isfahanis still come to procure spices and jewellery in the old Gheisariyeh bazaar, and the surrounding passageways bustle with artisans making handicrafts. My favourite is the coppersmiths’ passage, where the cacophony of beating hammers is a centuries-old sound. Another joy is the ceiling of the Lotfollah mosque. Here, the design of the tiles creates the same sensation as watching a starry night, drawing you upwards as if falling into the sky. 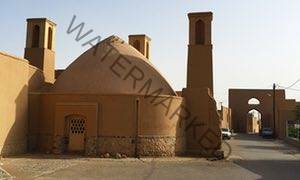 Not far away is the Jameh mosque, one of the oldest in the country, rebuilt in the 11th century. No colourful tiles here: the wonder is in the patterns and craftsmanship of the brickworks. 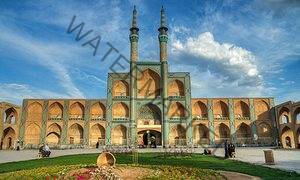 Finally, a major feature of Isfahan is the river, along the banks of which Isfahanis go to take the air. There are a number of old bridges here, from the plain-brick Si-o-se pol with its 33 arches, to the Khaju bridge with its decorative motifs and tiles, where the king would sit to enjoy the sound of water falling over specially designed steps. Nowadays, the river runs dry most of the year, but that hasn’t stopped Isfahanis continuing to use its banks in their leisure time. Staying in the Abbasi hotel (doubles from £130 B&B) is a must. 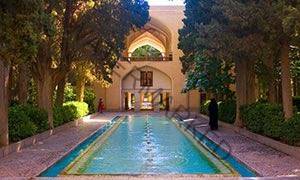 The old caravanserai has been converted into possibly the most beautiful hotel Iran has to offer. The quince-laden trees and the dome of the Chaharbagh seminary visible in the garden make this a magical end to your stay. Showing musical instruments being played is still banned on Iranian television but concerts are held regularly in Tehran. 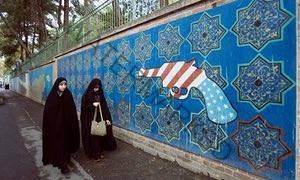 Visit Iran Music for details and catch a live gig. Housed in two renovated old houses in Tehran are Gallery O and Ab-anabar, both of which showcase cutting-edge art in what were once Tehran’s modern houses.